Hey, all! Sorry for the missing section last week! Have to move, so this summer might see a week here or there without anything from me. Hopefully, I will be settled in an awesome place by the end of August! Keep your fingers crossed! For fans of the old TV show Lois and Clark, Teri Hatcher and Dean Cain reunited for a fun photo reunion! Fox has announced its fall premiere dates. Gotham is set to air on Thursday, September 28, while Lucifer and new show The Gifted are set to premiere on Monday, October 2. American Gods: Season one is over, but there are hints of what to come in season two starting to trickle out. EW has up a video interview with comments from actors Pablo Schreiber, Yetide Badaki, Ricky Whittle, Ian McShane, Emily Browning, author Neil Gaiman, and executive producers Bryan Fuller and Michael Green. Deadline has up an interview with executive producer Michael Green and Bryan Fuller on season two’s tone. The Hollywood Reporter has up an interview with actress Yetide Badaki on Bilquis’ predicament. American Horror Story: The show has cast former Arrow and Teen Wolf star Colton Haynes for an unknown new role. Black Lightning: Idigitaltimes has up an interview with showrunner and co-creator Tony Isabella on the comic and the new CW series. The Defenders: TV Line has up the latest promotional poster for the team-up series. It debuts Friday, August 18. Doctor Who: Den of Geeks has a list of “easter eggs” for last weekend’s episode “The Eaters of Light.” The Royal Television website has up an interview with new showrunner Chris Chibnall on what he has planned for his first season as showrunner. The official ratings came out for “Empress of Mars.” The show was watched by 5.02 million viewers, making it 23rd-most-watched program of the week. It also had an Appreciation Index of 83. The official ratings for “Lie of the Land” also came out and the show was watched by 4.82 million viewers, making it the first time the show has officially fallen below five million viewers. Last weekend’s episode “The Eaters of Light” had an Appreciation Index of 81. It also had an overnight viewing figure of 2.89 million viewers. While that is the lowest the series has had so far, it was still a share of 22% of the total TV audience, as ratings for all series that night were down. Game of Thrones: Deadline has up the latest promotional posters for each main character. There’s also some new footage out there for the new season. Jessica Jones: Zimbio has up some season two set photos of Krysten Ritter and Rachel Taylor filming. Legends of Tomorrow: The show has cast actor Billy Zane as P.T. Barnum, the famous circus man. The Originals: The third season finale aired last week, and several outlets have some post-mortem interviews with exiting executive producer Michael Narducci. EW, TV Line and The Hollywood Reporter all have interviews up. Preacher: TV Insider has up an interview with showrunner Sam Catlin on season two. Star Trek Discovery: EW has up some details on how the new incarnation of show will be different from the previous incarnations in both storytelling and character writing. EW also has up the first look of Jason Issacs as Captain Lorca. And the show finally has an airdate! It will premiere on both CBS and CBS Access on Sunday, September 24. Supergirl: The show has itself some new showrunners in the form of Jessica Queller and Robert Rovner. They will be “co-showrunners” alongside co-creator Andrew Kreisberg. Wynonna Earp: EW has up an interview with showrunner Emily Andras on what’s going on with the characters in early season two. Over at EW, the latest Spoiler Room has spoilers on shows Legends of Tomorrow and Arrow. And last week’s Spoiler Room column had Agents of S.H.I.E.L.D. spoilers. At TV Line, the latest Ask Ausiello has spoilers on shows Fear the Walking Dead, Preacher, Supernatural and Stranger Things. The repeats of season 12 continue tonight with 12.11 and 12.12. They won’t have any repeats next week, according to the print edition of TV Guide, so we may be done for the summer with season 12 reruns. This fall, the show will remain at 8pm on Thursdays and come back on October 12. Its lead-out will be Arrow. San Diego Comic-Con, runs July 20-23. The show is back in Hall H Sunday morning at 10:30 (PST) and will last an hour. It’s also the last show event of the con. No word yet on guests. Season 12 is available for pre-order on Amazon and will come out on September 5. For those following the repeats or otherwise trying to catch up, here is the Season 12 line-up (23 episodes): “Keep Calm and Carry On” (12.01) official photos and press release; “Mamma Mia” (12.02) synopsis and photos; “The Foundry” (12.03) synopsis, official photos, sneak peek, and promo; “American Nightmare” (12.04) synopsis, official photos and promo; “The One You’ve Been Waiting For” (12.05) synopsis, promo and set photos; “Celebrating the Life of Asa Fox” (12.06) synopsis, photos and promo; “Rock Never Dies” (12.07) synopsis, photos and promo; “LOTUS” (12.08) synopsis, photos and promo; “First Blood” (12.09) synopsis, photos, promo and sneak peek, as well as an extended promo; “Lily Sunder Has Some Regrets” (12.10) (this is the one with Alicia Witt) synopsis, photos and promo, and sneak peek; “Regarding Dean” (12.11) tech survey card, synopsis, set photo, promo and official photos; “Stuck in the Middle (With You)” (12.12) tech survey card, synopsis, preliminary photo (this one’s directed by Richard Speight Jr.), and official photos and promo; “Family Feud” (12.13) synopsis; “The Raid” (12.14) tech survey card, synopsis, and promo and official photos; “Somewhere Between Heaven and Hell” (12.15) tech survey card, synopsis, official photos and promo; “Ladies Drink Free” (12.16) tech survey card, synopsis, photos, sneak peeks, and promo; “The British Invasion” (12.17) synopsis, photos, mini-doc, promo and tech survey card; “The Memory Remains” (12.18) tech survey card, synopsis, photos, promo, sneak peek, and title; “The Future” (12.19) tech survey card and partial title card, showing the director is Amanda Tapping, and the writers are Robert Berens and Meredith Glynn, and synopsis and promo, sneak peek, and photos; “Twigs & Twine & Tasha Banes” (12.20) tech survey card, showing Richard Speight Jr. returning to direct and synopsis; “There’s Something About Mary” (12.21) synopsis, photos and promo, tech survey card, and directed by John Showalter; and “Who We Are” (12.22) and “All Along the Watchtower” (12.23 – season finale) synopsis, photos and promo, tech survey card, and directed by Robert Singer and written by Andrew Dabb. The big news for last and this week was that they’re going to have another backdoor pilot for a spinoff, called “Wayward Sisters,” centered around Jody Mills. Briana Buckmaster (Donna) posted on Facebook that she was officially joining the spinoff, but then apparently deleted the post. I like Jody and Donna a lot, but I’m skeptical about the official premise that Jody is going to start bringing in young girls who have been damaged by the supernatural world and train them to be crack Hunters. That’s a little too “Potentials on Buffy” for me and these particular showrunners can’t even make a decent premise work, let alone one as awful as the Potentials. They certainly don’t serve female characters well. So, fingers and toes crossed on this one. Show producer Jason Fischer reported on Twitter that everyone would start getting back to work on Wednesday (June 21). I’ve moved my Official live recaps to this site and simul-recapping at Wayward Children, with reviews to follow. I’m working on the review for the season finale now. Ratings for the repeats of 12.09 (“First Blood”) and 12.10 (“Lily Sunder Has Some Regrets”) “were even” at 0.2/1 in demo, and up a bit from last week to 0.73 and 0.83 million respectively. For the year, Supernatural came in fifth in L+3 (average 0.9) and L+7 (1.0) demos, slightly behind the top four. The show came in fourth (the link last week was too vague) on Netflix downloads for the year. The only other CW show in the top ten was Gilmore Girls, which was canceled a decade ago (though it did recently have a crowd-sourced miniseries revival). If you’re up for a great superhero action film with a woman at the helm (both in the lead role and as director), check out Wonder Woman. It had reached $297.2 million domestically and $571.8 million worldwide as of last night. It’s projected to top $700 million, though personally, I’m still crossing my fingers for it to hit a billion at some point. It’s been stronger than expected across the board, even though more women than men are reportedly watching it (traditionally, superhero films skew male). Hopefully, it will open a lot of doors for women in front of and behind the scenes in the lucrative blockbuster category. Also, it’s popular because it’s great fun and a lot of people are going back to watch more than once. Heather’s off on a well-deserved vacation this week. Expect her back in the next week or so. The repeats of season 12 continue this week with 12.09 and 12.10. Looks like they’re actually going to repeat the whole season this time. Which makes sense, considering these repeats are getting the same demo as the Reign series finale last Friday. San Diego Comic-Con, runs July 20-23. The final schedule will be out about two weeks beforehand, but the show will probably be on again on Sunday morning. Andrew Dabb teased to TV Line that there is a hint of where they’re going in season 13 in “Ladies Drink Free.” This, predictably, failed to get very many fans excited. I laughed when the same article talked about Robert Singer saying at the time that hint of whatever-it-was would be “subtle.” As if. Now, I like Claire, but I’m not wild about how this current team is writing her, and ohGodpleasenomorewerewolfstories. It might be interesting to see the Brothers doing some monster-curing, but the show has never gone there successfully in the past and it’s a bit early for the writers to have any real clue what they’re doing this season, anyway. I just hope we’re not stuck with Lucifer Jr. for the whole season because ugh. Ratings for the repeats of 12.07 (“Rock Never Dies”) and 12.08 (“LOTUS”) “were even” at 0.2/1, and down from last week to 0.68 and 0.65 million respectively. Probably because those episodes weren’t very popular the first time round. Especially “LOTUS.” And yet, we were stuck with that storyline all season, anyway. The show also came in fourth on Netflix’s list of most-watched shows with 2.6% of total downloads. 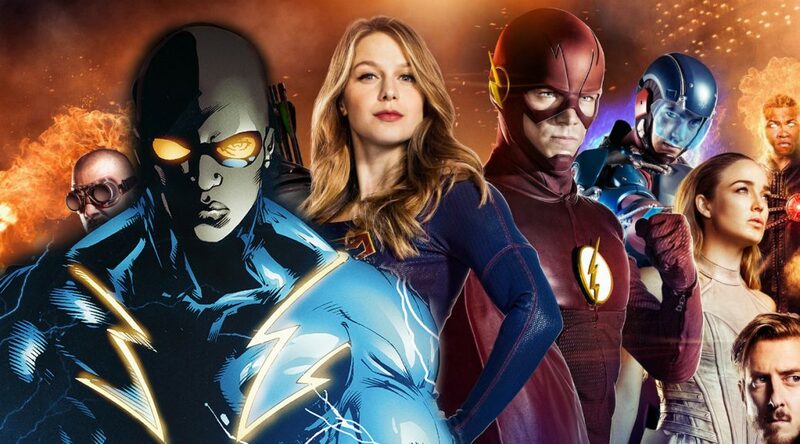 For fans of the CW’s shows, they announced fall premiere dates for their entire lineup. Freeform is trying to Americanize the British teenage science fiction drama Misfits with their own version. In sad news, TV’s Batman, Adam West has passed away at the age of 88. A Series Of Unfortunate Events: Actors Nathan Fillion (Castle), Tony Hale (Veep), Sara Rue (Impostor), Lucy Punch (Ben & Kate) and Roger Bart (Desperate Housewives) have all joined the show for season two. Dark Matter: Blastr has up an interview with co-creator Joseph Mallozzi on season three. Aimee Hicks over at Spoiler TV has up an advanced preview for season three’s first two episodes. Doctor Who: The official ratings are in for “The Pyramid At the End of the World.” It was watched by 5.79 million viewers and was the 14th-most-watched program of the week. The episode, “The Lie of The Land,” had an overnight figure of 3.01 million viewers. The show was hit hard by being up against the finale of Britain’s Got Talent, which received 8.19 million viewers, but it should go up in the finals. The episode also had an Appreciation Index of 82. The Exorcist: There’s going to be a cast shakeup when the show returns in season two. Actors Geena Davis, Alan Ruck, Hannah Kasulka and Brianne Howey are all exiting the show. Killjoys: There are two new trailers out for season three. You can see the Syfy Channel one here and the Space one here. The Leftovers: TV Line has up an interview with Damon Lindelof on the series finale. The Originals: TV Line has up an interview with Nathaniel Buzolic on Kol’s return. Orphan Black: TV Line has up a preview for the new season. 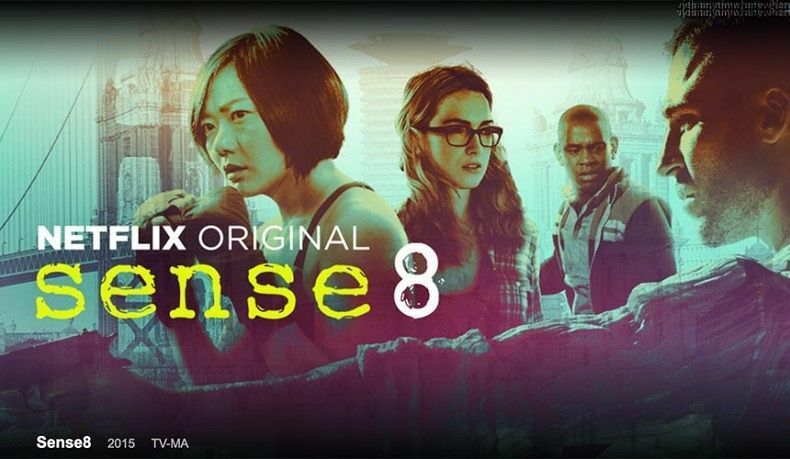 Sense 8: Netflix has responded to fans’ efforts renew the show, and sadly, it’s still a no-go. Brian J. Smith penned a lovely letter thanking the fans for their efforts. Shadowhunters: Actor Isaiah Mustafa previewed for TV Line some season two news. And actress Sarah Hyland (Pretty Little Liars) will be making a guest appearance. Stranger Things: TV Line has up a few tidbits about season two. Zoo: TV Line has up a preview for what happened to Mitch over the ten-year gap when he was thought dead. Over at EW, the latest Spoiler Room has a spoilers on shows Legends of Tomorrow, Agents of S.H.I.E.L.D., Once Upon a Time and Orphan Black. At TV Line, the latest Matt’s Inside Line has spoilers on shows Arrow, Killjoys, Supergirl, The Flash, Zoo and Stranger Things. Only eight hours left to vote in my Twitter poll which showrunner you’d like to see for season 13. The repeats of season 12 continue this week with 12.07 and 12.08. There’s a new “Shaving People, Punting Things” video out for season 13. Don’t expect a whole lot more news before Comic-Con, which runs July 20-23. 2018 calendars are coming out soon. It appears there will be two large calendars out on July 1 and two mini calendars on September 1. Ratings for the repeats of 12.05 (“The One You’ve Been Waiting For”) and 12.06 (“Celebrating the Life of Asa Fox”) were even at 0.2/1, and up from last week to 0.84 and 0.85 million respectively. Sad news for fans of Netflix’s Sense 8/: the show will not be renewed for a third season. So, no news on what happens with the cluster after that cliffhanger in season two! TV Line has up a list of premiere dates for CBS’ line up. 12 Monkeys: The official trailer is out for season four. American Gods: The Hollywood Reporter has up an interview with Gillian Anderson on her role as Media. Arrow: At the Heroes and Villains Fan Fest in the United Kingdom a few weeks ago, Katie Cassidy revealed some details about her new character, Black Siren’s, familial relationships. Doctor Who: The final ratings are in for “Extremis.” The show received an official rating of 5.53 million viewers, making it the 20th-most-watched program for the week. “The Pyramid At the End of the World” received an Audience Appreciation figure of 82. It’s been confirmed that Rachel Talalay will be directing the Christmas episode. She previously directed the final two episodes of both seasons eight and nine, including the highly acclaimed “Heaven Sent.” As for the next Doctor, Radio Times is now claiming that actors Luke Treadaway (Fortitude) and Sacha Dhawan (An Adventure in Space and Time) are in the running. 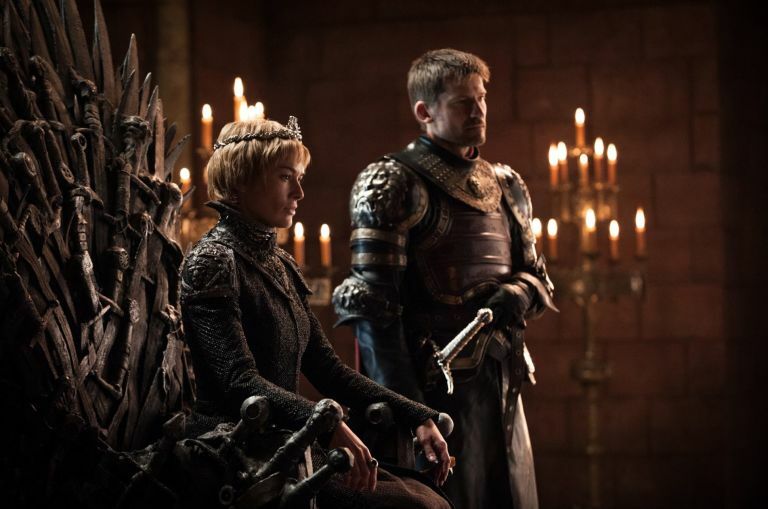 Game of Thrones: Pop Culture TV has some details on some scenes for season seven. EW has up an interview with HBO programming president Casey Bloys on the programming for the show and its potential prequel. Jessica Jones: The Marvel Studios Twitter account (unofficial) has some set photos of filming for season two. Preacher: There’s a new promo out for season two. Supergirl: The show has cast actress Odette Annable as villain and “world killer” Reign. The big news of the week is that the CW’s fall schedule is out and Supernatural season 13 will start on October 12. The repeats of season 12 continued this week with 12.05 and 12.06, and will be back next week with 12.07 and 12.08. Still not much other news this week aside from Mark Sheppard continuing to burn bridges about why he left the show. He claimed that the writers got bored with the character and that current showrunner Andrew Dabb had been looking to kill off Crowley for a while. Sheppard was mainly annoyed by how crappy a job it was and that half of his death scene got cut. He also said his co-stars weren’t at fault and that even though he didn’t think Crowley should have had a mother, he loved working with Ruth Connell. He said he wasn’t sure if she’s coming back, but he definitely isn’t. Ratings for the repeats of 12.03 (“The Foundry”) and 12.04 (“American Nightmare”) “were even” at 0.2/1 and 0.75 million. In DVR+7 ratings, the show rose in the season finale from 0.6 to 1.0 and 1.697 to 2.603 million. The 100: The show has promoted actress Tasya Teles (Echo) to series regular. 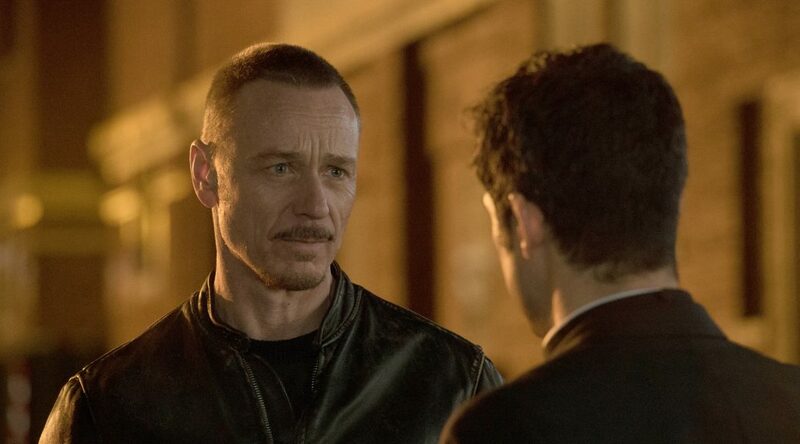 Following last week’s season finale, TV Line has up an interview with executive producer Jason Rothenberg. The Hollywood Reporter has a version as well. American Gods: TV Line has up an interview with Emily Browning on last week’s Laura Moon-centered episode. EW has one with the actress as well. American Horror Story: Ryan Murphy posted a photo of Billie Lourd in the new season. Arrow: John Barrowman has confirmed that he will not be returning to the show next season. Fear the Walking Dead: TV Line has up an interview with showrunner Dave Erickson about what’s coming up in season three, which premieres June 4. Game of Thrones: There’s a new trailer out for season seven. It’s been confirmed that season eight will only be six episodes long. EW is also reporting that several of the actors will be having more to do in season seven! EW also has up some photos from their Game of Thrones photoshoot with the stars. They also have up the latest promotional photos for the season. TV Line has up the latest promotional poster for the season. Legends of Tomorrow: Brandon Routh posted on his Twitter account some new promotional art for season three. The Originals: TV Line has up an interview with actor Daniel Gillies about Elijah’s latest death. Shadowhunters: TV Line has up a preview for season two’s second half. Supergirl: It was announced that actress Floriana Lima will not be a series regular next season. She will be reduced down to recurring. Wynonna Earp: Variety has up the promotional poster for season two. At TV Line, the latest Ask Ausiello has spoilers on shows Twin Peaks, Supernatural, Lucifer, Arrow, Once Upon a Time, Fear the Walking Dead, and The 100. The repeats of season 12 continued this week with 12.03 and 12.04 and will be back next week with 12.05 and 12.06. 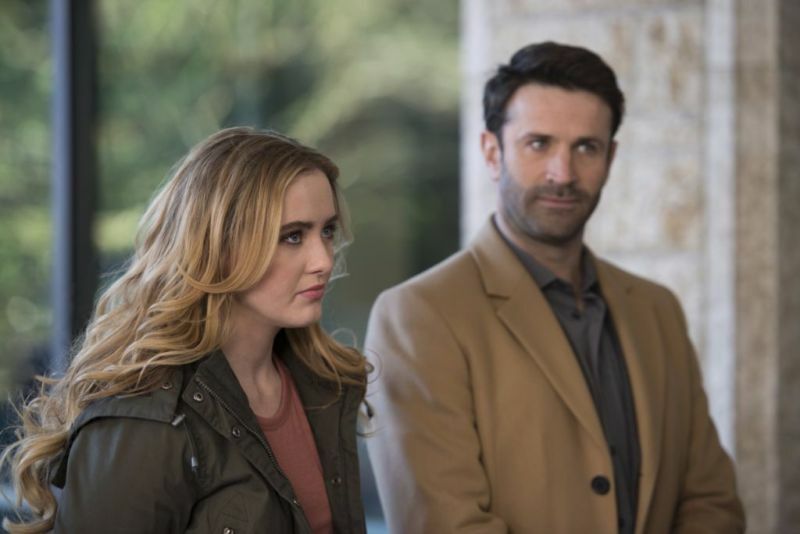 The big (really, the only) news this week is that the other main character death of the season finale (i.e., Crowley) will stick. And it also appears that this is because there’s bad blood between Mark Sheppard and the show. Sheppard tweeted repeatedly that he was not returning to the show in any form and even corrected Jim Michaels when Michaels tried to imply that Crowley might come back. Support from other actors indicates the dissatisfaction may not be limited to him. Hmm. Ratings for the repeats of season premiere “Keep Calm and Carry On” (12.01) and “Mamma Mia” (12.01) were 0.2/1 and 0.76 million, and 0.2/1 and 0.67 million respectively. In DVR+7 ratings, the show popped up with an increase from 0.5 to 0.9 and 1.420 to 2.272 million for “There’s Something About Mary” (12.21).